BRISTOL - The Brickhouse Indians (Newington) needed just one good inning to start the Connecticut Twilight League championship series off right. 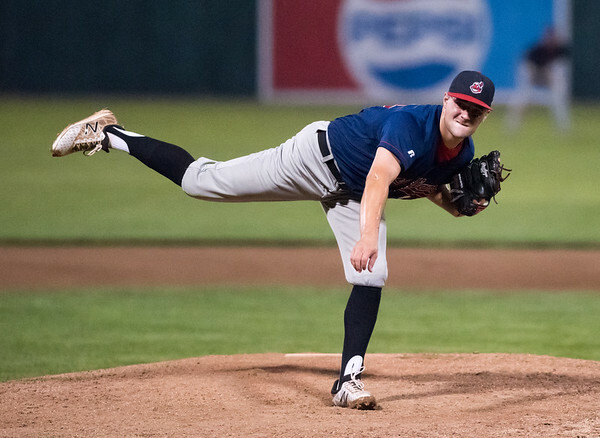 The Indians put up three runs in the third inning Thursday night at Muzzy Field en route to a 5-1 win over the Chicago Sam’s Orioles. In doing so, the Indians take a 1-0 lead in the best-of-three series. The rally in the third was spearheaded by a double from Mike Lord, a walk to Chris Aleman and Nestor Velazquez getting hit by a pitch. That paved the way for catcher Eric Jailet to knock a bases-clearing double to left-center field to give the Indians a lead they would never surrender. Orioles starting pitcher Liam Gallagher was pulled from the game the next inning after Brickhouse padded the lead with another run on a sacrifice fly from Lord. After the Orioles had just beaten the Bristol Knights to avoid elimination, Echevarria believed it was key to score early and take advantage of the tired Chicago Sam’s team that made four errors in the game. A solid start from Amendola was crucial to the win as well. In a complete-game effort, Amendola gave up one run on four hits and didn’t walk a single batter in the game. He struck out six hitters. The Indians will now look finish off the series and take the title tonight back at Muzzy Field. The second game of the series will be at 6 p.m. Should the Orioles win, there will be a deciding third game played right after. Posted in New Britain Herald, Newington on Friday, 17 August 2018 05:27. Updated: Friday, 17 August 2018 05:31.